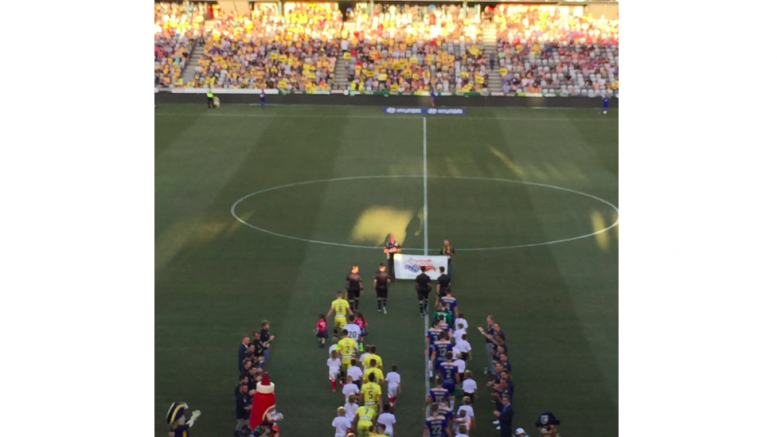 The Central Coast Mariners have cruised past the Newcastle Jets in the 41st #F3Derby where Nick Montgomery & Fabio Ferreira featured on the scoresheet at Central Coast Stadium in the Yellow & Navy’s 2-0 win. The Run Down The crucial three points sees the Mariners leap frog the Jets and Adelaide United on the ladder, to set up an intriguing last round of football where the Mariners currently sit eighth. After an end-to-end start to the final #F3Derby of the 2016/17 Hyundai A-League season, it was captain Nick Montgomery who set the game alight, when he hit a sizzling strike into the bottom corner from outside the penalty area to give his side the lead. The Mariners made it difficult for the Jets to get into the game for most parts of the first half, holding possession for long periods of time, with the Jets only creating half chances with arial threat Harrison Sawyer. Harry Ascroft and Liam Rose were alert to the danger and kept the Jets at bay, holding them scoreless for the fourth game in a row. The Mariners doubled their lead early in the second half after Ferreira finished off a counter attacking play which saw the Mariners travel the length of the field. Connor Pain was rightly awarded man of the match honours, leaving the Jets right side in a spin, beating his man more than once, having his hand in a number of Mariners’ opportunities.